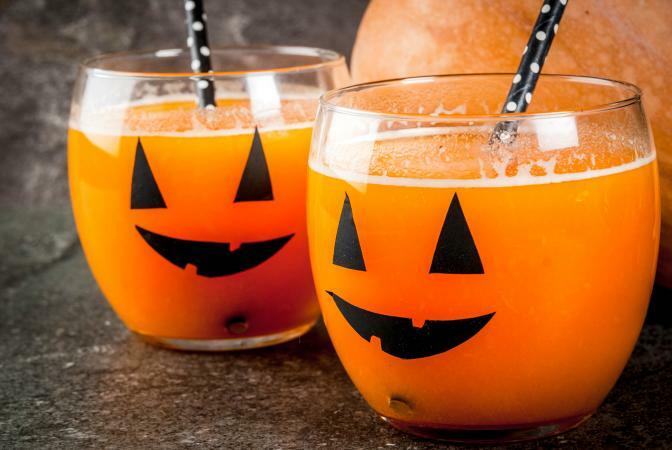 If you're throwing a Halloween bash (or if you just want a fun Halloween-themed libation), then having a signature Halloween-style cocktail can make your festivities even more fun. Try one or all of these original signature cocktails at your next party. Whether you choose to garnish this with a simple cinnamon stick (pictured) or you go a little fancier with garnishes (such as a drizzle of caramel), this cocktail is sure to stave offer autumn chill. When serving it at a party, fill your slow cooker with apple cider and add the booze for each cocktail. 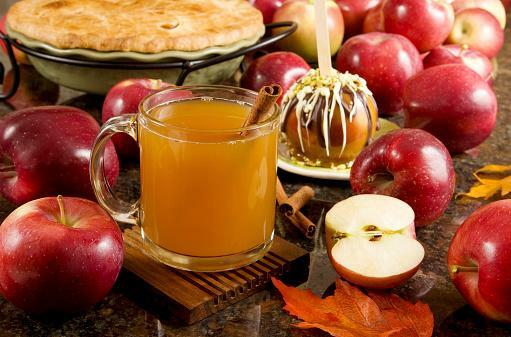 To make the cider, in a slow cooker combine 2 quarts of apple cider with three cinnamon sticks, 1/4 cup of dark brown sugar, and 2 tablespoons of whole cloves. Simmer on low for four hours and keep warm throughout the party. This yields 8 cups of cider. Grab some mugs and mix up cocktails on demand. Each makes one serving. Combine all ingredients in a mug and stir to combine. Garnish with a cinnamon stick. 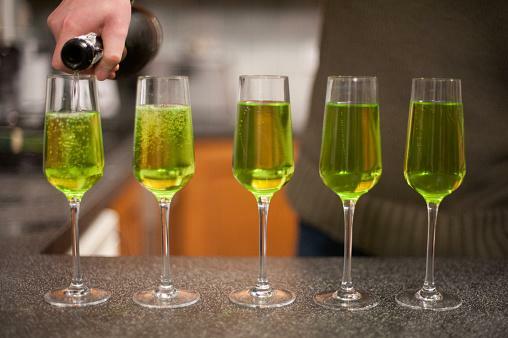 This Halloween-style twist on a French 75 cocktail is a vibrant green, which is just the color of bubbly you'd expect a witch to use when making a toast. It makes one cocktail. In a cocktail shaker, combine the gin, Midori, sugar, and ice. Top with the Champagne, Prosecco, or sparkling white wine. If shots are more your speed and you aren't afraid of a little spice, mix up a batch of these hot shots to share at your shindig. The recipe makes three shots. In a cocktail shaker, combine the vodka, cinnamon whiskey, grenadine, lemon juice, and ice. Shake to chill. Strain into three shot glasses. 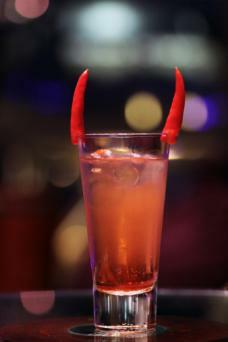 Garnish with two chili peppers on each side of the shot glass to form devil horns. What's Halloween without pumpkins? 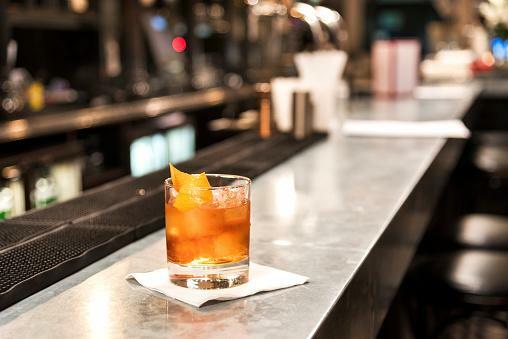 For people with more classic tastes, this pumpkin twist on the classic old-fashioned cocktail is the perfect sip. In an old-fashioned glass, stir the syrup and the bitters. Add the bourbon and a splash of water. Halloween party drinks have an array of alcoholic and non-alcoholic beverages fun for any party. Have a Harry Potter themed party and serve Butterbeer. With its black licorice flavor, sambuca is the perfect Halloween cocktail mixer. Midori has a vivid green color that makes it perfect for Halloween cocktails. If Halloween is all about the candy for you (and why wouldn't it be? ), try a Jolly Rancher Martini or a Sweet Tart cocktail. It'll make you feel like a kid again. Hulk out at your Halloween bash. Dress as the Incredible Hulk and serve a Hulk cocktail. Serve up a tasty pumpkin martini for jack-o-lantern fans. There's no need to have the same old cocktails at Halloween. Mix it up with fun Halloween-themed cocktails for a ghoulishly good time.